To each their taste, to each their Twibio! Dance to your desires and get your fill of flavours with this range of 8 crunchy biscuits with fruit or chocolate fillings. 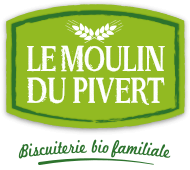 In developing these recipes, we promote, as far as possible, the use of raw materials transformed in the South West of France (flour, sunflower oil) as close to our bakery as we can find. 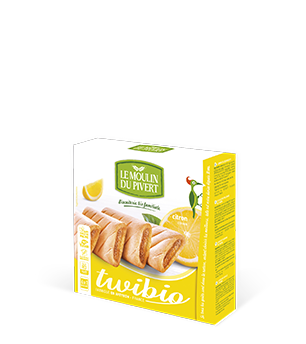 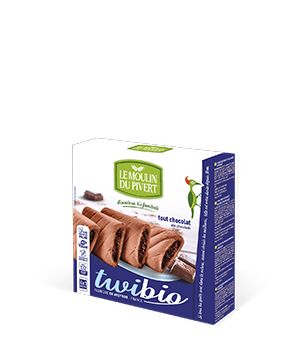 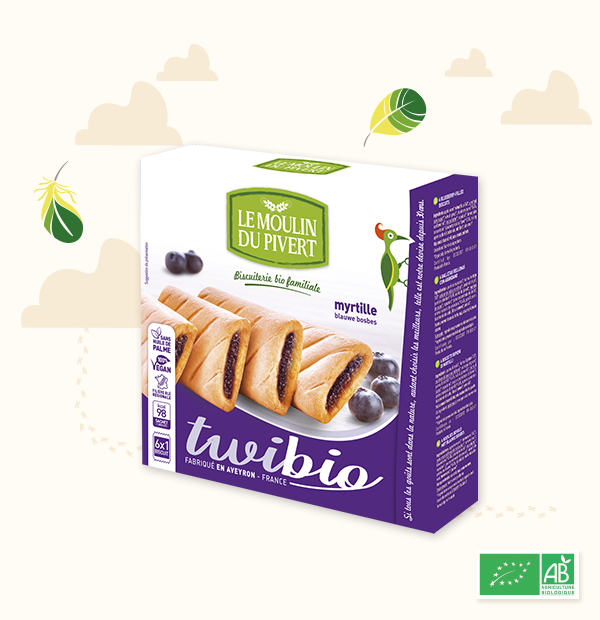 Surprise yourself with the slightly tart taste of this delicious blueberry Twibio. Ready to go: at breakfast, as a snack, for sport... it will delight small and large alike. Apple puree*, wheat flour T65*, unrefined cane sugar*, wheat syrup*, blueberry puree* 8,4%, sunflower oil*, cocoa butter*, rapadura*, concentrate lemon juice*, blueberry natural flavour* 0.4%, raising agent: sodium bicarbonate, oat fiber*, cinnamon*. “In individual packs, you can easily slip them in a pocket or a backpack. 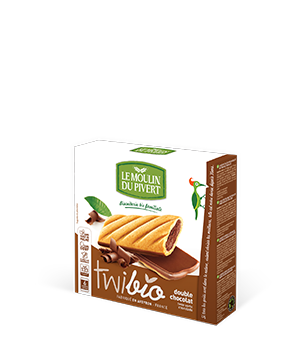 Enjoy"